Star Wars meets Ridley Pearson's Kingdom Keepers in this high-stakes intergalactic adventure! 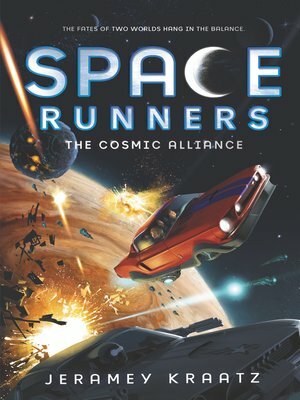 The Cosmic Alliance is the third installment in an action-packed series for tweens that's perfect for fans of Eoin Colfer and Lisa McMann and that Soman Chainani called "a blockbuster mix of thrills and adrenaline." Benny Love's trip to the moon wasn't supposed to include the start of a war between humans and the Alpha Maraudi, a group of aliens determined to take over Earth. When Benny and his friends get to know a peaceful Alpha Maraudi general and her crew, Benny can't imagine letting the war continue—he'll need to help bring the conflict to a peaceful resolution. But neither group's leaders are interested in talking, and Benny knows that both sides are developing powerful superweapons. Will the Moon Platoon be able to save both their Earth families and their new alien friends?